Just about anyone that has a coffee machine at home can make compost. 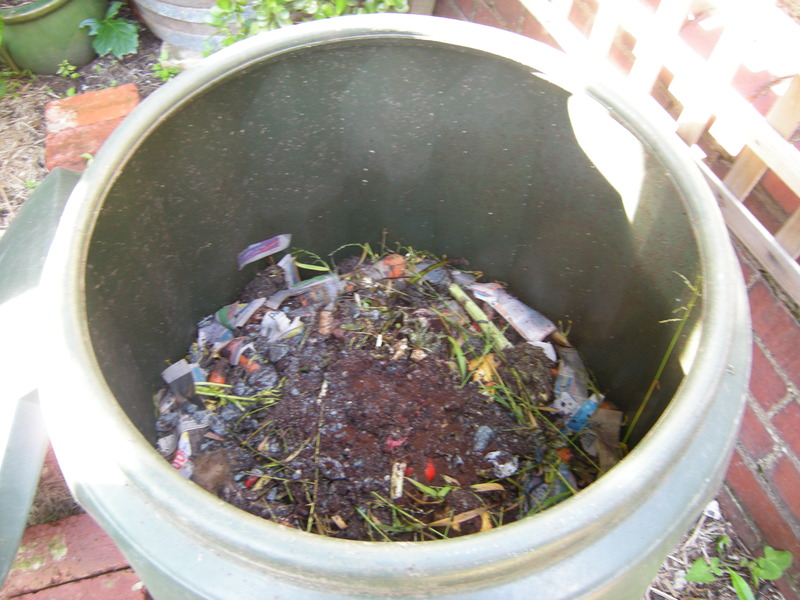 Here are some pictures of the coffee and compost bin of a real life Grounder, Rhiannon. This is the plastic bin where all those coffee cakes are collected. Rhiannon likes to add some lime to the mix, and I must say I haven’t ever done that myself and at some stage will run a pH test on her new soil to see what difference it actually makes. Used coffee grounds are not particularly low in pH, settling in around 6.0 on the tests I have done, and 7.0 is neutral. The used grounds are collected here for a week or so, and then taken out. 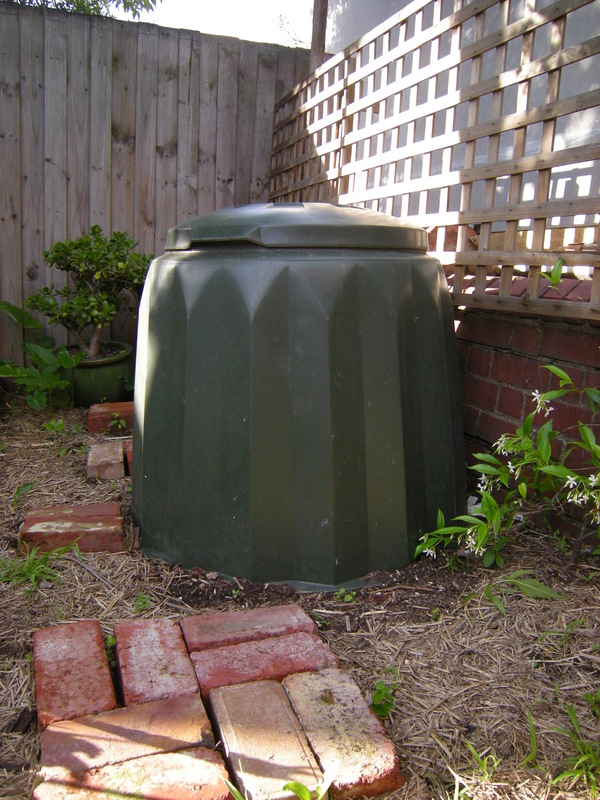 Here is the compost bin that Rhiannon uses at the home. It is not in direct sun, and on open soil, which is all good. One issue however is some flooding that comes down from the wall on the right of screen, so it might need to be moved at some stage. Good compost is about the balance of conditions and raw materials, and too much water will reduce the quality of the compost and take it a lot longer to be ready for use. Damp not wet is the general rule, and that is how the earthworms like it also. And in the compost bin now, we have the coffee grounds, the lime, shredded newspaper, some grass and weeds, and normal kitchen scraps. So get to it folks, and if you don’t have a bin then check out my post on making compost by digging a hole. What got you into gardening? My dad. And needing to be fiscally responsible. How long have you been collecting coffee grounds for, and how much do you think you have used? I have had a compost heap since I was about 17, so 15 years. Use about 30 kilos per year. What results have you found by using coffee grounds for your plants or compost? Besides blue mold? It adds nitrogeon to the compost heap and is treated in the same way in the compost as any other kitchen scraps. I add lime to the grinds. What advice would you give to someone that is just starting to use coffee grounds? Use lime, and don’t get too freaked out about the blue mold. And crumble the grounds so it is not added in as hard lumps. Add to compost like everything else. What message would you give to people that are considering making use of this resource? What are you adding into the compost bin? Tags: coffee, coffee grounds, compost, garden, soil. Bookmark the permalink. 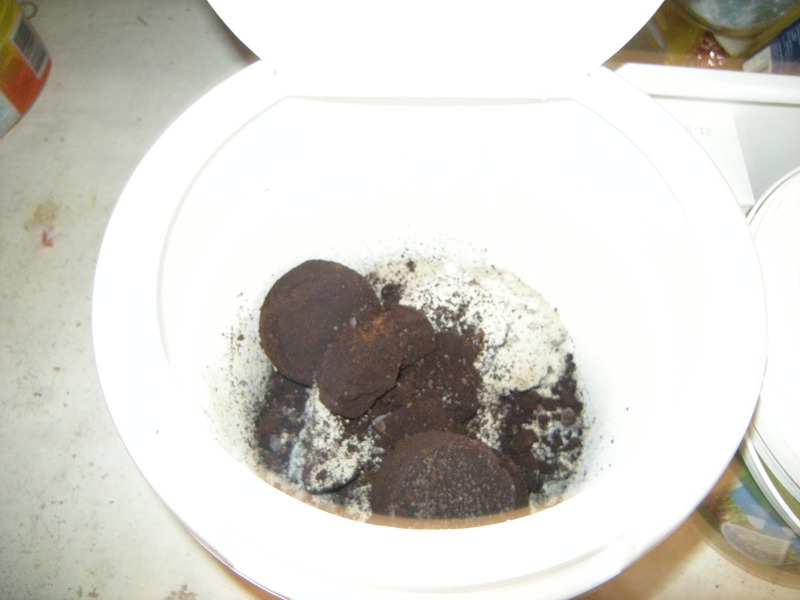 Is there a problem if there is moldy coffee grounds in compost? Not at all Becca. It is just natural part of decomposition for the coffee grounds to go moldy like that. One of the main Micro-organisms involved in breaking down the compost is fungi, which includes the types of moulds that you will see.